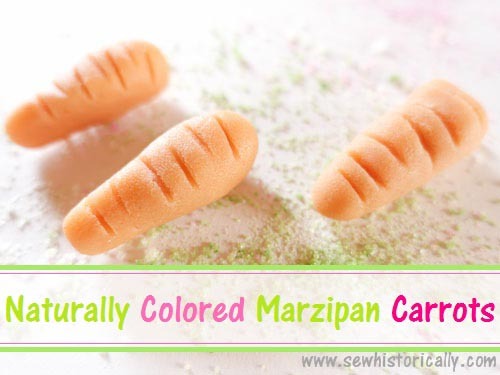 The marzipan carrots are naturally colored with tomato puree! 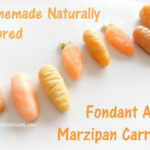 😀 I feared the marzipan carrots would taste of tomato puree – marzipan with tomato puree? Yuck! 😉 But the tomato puree isn’t noticeable! 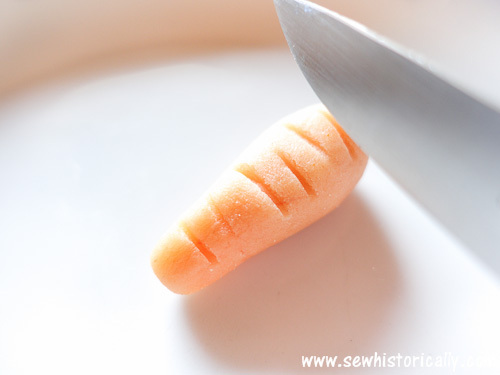 It just gives a pretty carrot color. 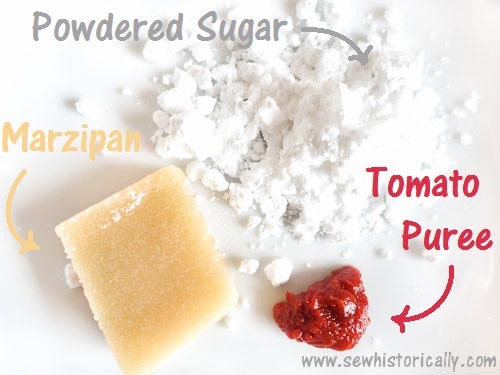 Knead together marzipan and enough powdered sugar until the mixture holds its shape. 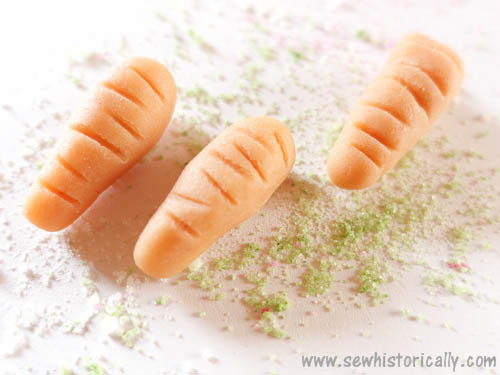 Color it with some tomato puree and form into little carrots. 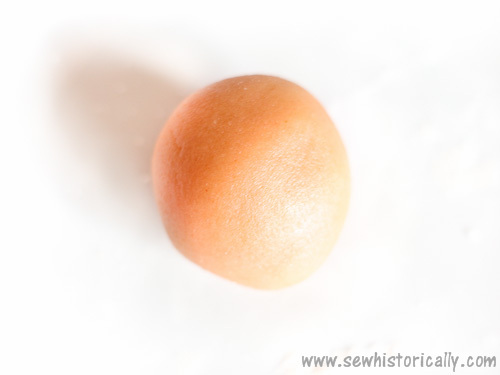 Make indentations with the back of a knife. 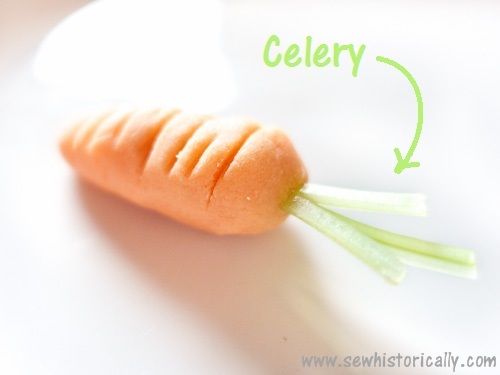 Using a skewer, make a hole at the top of the carrot. 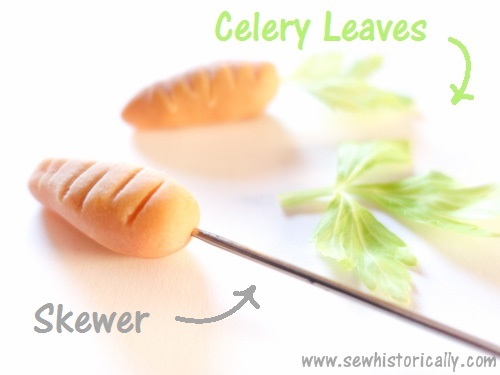 Use celery, celery leaves, carrot greens or herbs, such as parsley or rosemary needles, as carrot tops. 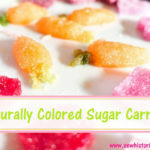 Here you’ll find my recipe for sugar carrots and marzipan & fondant carrots – all naturally colored with carrot juice. This is neat….I have not seen these before. They really do look the part. That’s brilliant, who would have thought? 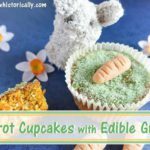 It has reminded me of a time, years ago when our kids were little and we made a carrot cake for my hubbie’s birthday and the kids made marzipan carrots to decorate the top. 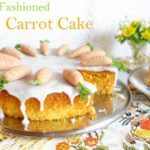 We found it really hard to get an orange colour and the first thing he said when he saw it was “why are their parsnips on the cake?” We still tease him about it now! 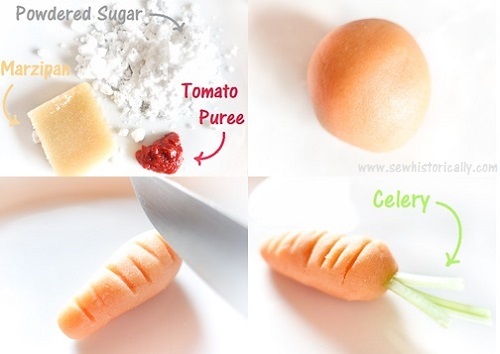 If only we had known that tomato puree was the way to go! How funny! 😀 Happy Easter! 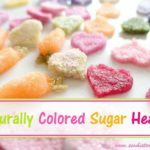 Thank you for sharing this over at Food Friday! Happy Easter!